British expats in Europe are reportedly concerned about the repercussions of Britain leaving the EU, with experts predicting an exodus from the continent if voters opt to leave the bloc. Access to healthcare, the value of pensions and the right to study overseas are among the fears British citizens abroad harbour,The Times reported. 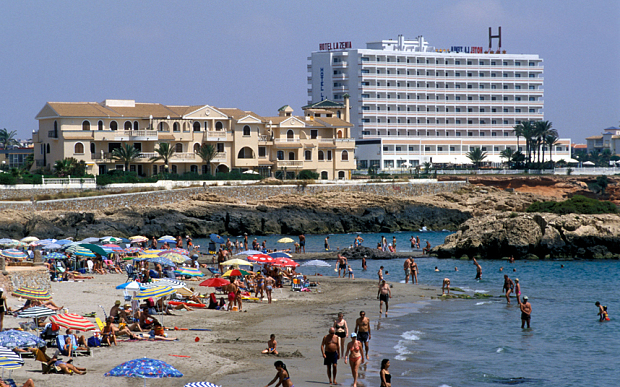 Already 100 British residents of Spain leave the country every day amid fears over the region’s economic woes, it said. France has warned that if Britain opted to leave the EU in the June 23 referendum, Britons would no longer be able to access public healthcare. “The issue is sowing panic among Britons who have taken early retirement to France,” Christopher Chantrey, chairman of the British Community Committee of France, told the newspaper. In Spain, British pensioners are able to receive free healthcare if they are registered in the local area. “If Britain were to leave, there would be nothing to stop Spain, France or any other country from preventing Britons from accessing their healthcare system, because they are free to discriminate against non-EU citizens,” Mr McGrory was quoted as saying. “The UK gets a very bad deal and it’s in the interests of the EU to come to an arrangement,” Rob Oxley, of the Vote Leave campaign, said. There is a growing disparity between the number of Europeans living in Britain and the number of British expats on the continent, with 2.9 million Europeans in Britain and 1.2 million Britons in the EU, according to UN data. Mr Oxley said the data was “a perfect example of how the balance of power favours the UK”. There are also fears over whether pensions would continue to rise with inflation should Britain vote to leave. The government only raises the value of the state pension for people living in the EU, with Britons in Australia, for example, denied the advantage. Students planning to study in Europe have been warned of being charged the high tuition fees that non-EU students face. “They might also lose the opportunity for vital funding through the EU’s Erasmus programme.” Mr McGrory said.